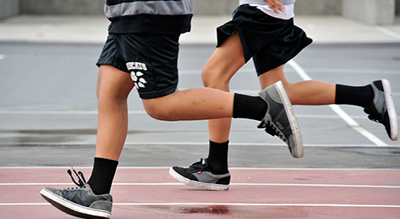 UCLA Health Sound Body Sound Mind is an organization dedicated to fighting childhood obesity by providing grants to equip middle and high schools with state-of-the-art fitness programs, a comprehensive curriculum and professional development for physical education teachers. 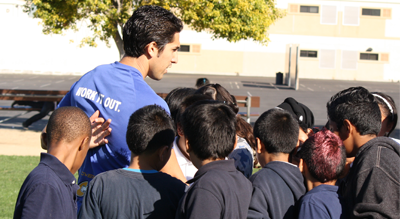 Our Mission: To promote self-confidence and healthy lifestyle choices among today’s youth. 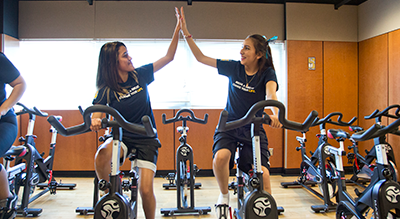 Each Fitness Center Grant provides a state-of-the-art fitness center to an underserved school in Los Angeles. Each Maintenance Grant provides funding to refurbish or maintain existing UCLA Health Sound Body Sound Mind fitness centers. The Technology Grant provides funding for modern fitness technology to be implemented into current physical education programs. According to the LA County Department of Public Health, 42% of children are obese or overweight. Break a Sweat, Change Your Life: The Urgent Need for Physical Education in Schools addresses the health crisis of today's youth -- the deadly duo of inactivity and obesity. With help from medical experts, this book examines the research and benefits that physical activity has on the minds and bodies of children.